- Potatofest, Ebensburg, Sept. 26: You may not know this, but Cambria County grows a lot of potatoes, and PotatoFest celebrates the starchy tubers connection to the county. The event features more than 200 craft and at vendors, live entertainment, a wine tasting, and lots of good food (not just potatoes, keep in mind). - Dutch Fall Festival, Aaronsburg, Oct. 3-4: Without a doubt, Aaronsburg is one of the centers of Pennsylvania Dutch culture in Central PA, and this festival is a celebration of all things Dutchified. The event will include kids activities (pony rides! 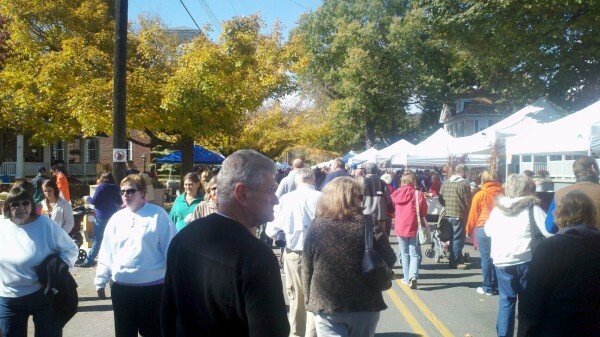 ), lots of good PA Dutch food, live entertainment, and a variety of antique vendors. - Way Fruit Farm Fall Festival, Port Matilda, Oct. 10 and Oct. 17: One of the marquee fall events in Centre County is this festival, which features food and craft vendors, hay rides, and of course, lots and lots of apples. Nothing quite like walking around in the crisp fall air while enjoying a hot cup of Way Fruit Farm’s excellent cider. - Howard Fire Company Fall Punkin’ Chunkin’ Festival, Bald Eagle State Park, Oct. 17: If you think fall festivals are quaint, quiet little affairs, then think again…not this one. Pumpkin chunkin’ is a sport that combines engineering know-how with the spectacle of pumpkins being launched long distances into the lake at Bald Eagle State Park. The event features, of course, a pumpkin chunkin’ competition starring giant gourd-firing machines, along with vendors, local food, and opportunities for you, the average person, to get in on the pumpkin chunkin’. Commenting is not available in this section entry. The WPSU web stream contains copyrighted material and may not be redistributed or reproduced. WPSU-FM is licensed for public performance of the BMI repertoire.